Republican Lieutenant Governor candidate Jeff Bartos is kicking off the final three weeks of primary election with his first statewide ad. “As a successful businessman, job creator and political outsider, Jeff Bartos is uniquely positioned to go to Harrisburg and help Scott Wagner fix what Tom Wolf and his disastrous policies have broken,” Bartos’ campaign manager Conor McGuinness said. 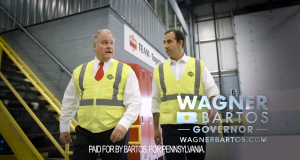 Bartos is running as the unofficial running mate of Gubernatorial candidate Scott Wagner. Both have to win separately in the primary to become the official ticket for the general election. The 15-second ad titled “The Conservative Choice” shows Bartos interacting with people with a narrator talking about Bartos. “Jeff Bartos is a successful businessman, and Conservative outsider. Bartos will fight to cut your taxes, and protect taxpayers. 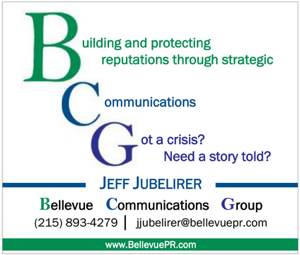 Jeff Bartos, the Conservative choice to change Harrisburg,” the narrator says. Bartos is running against Kathleen Coder, Peg Luksik, and Diana Irey Vaughan for the nomination. Bartos is a hell of a guy. I sure hope that he uses this LG run as a stepping stone to an office that has an actual job description and importance because I honestly think he can handle it. 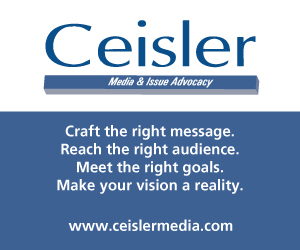 How big of an Ad buy? Bartos seems like a smart guy with a lot to offer. Not sure why he cast his lot with Wagner.